Traditional Christmas food is usually an essay in big flavours, but that doesn't mean you need the fullest bodied wines you have. Seafood and lighter entrees need wines that aren't that full throttle, so there is a place for delicate wine on the table, and remember Boxing Day headaches follow enthusiastic quaffing of big brawny drops. 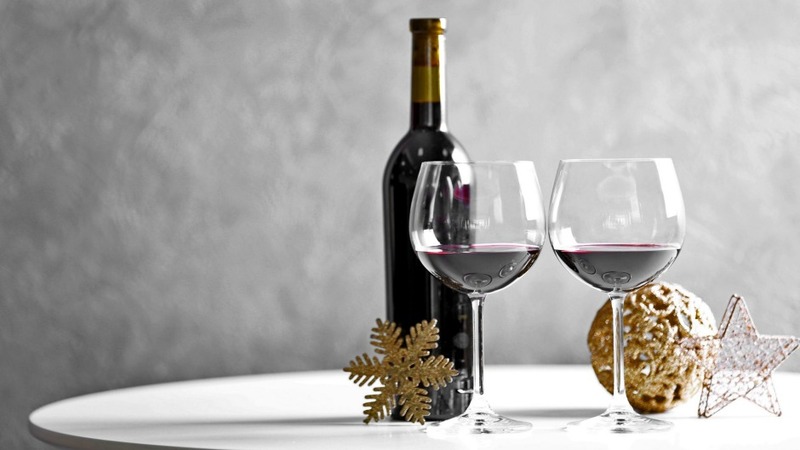 Start with lighter, elegant wines, follow with heavier, bigger ones, and remember that Christmas also has unique Down Under wine traditions, such as festive sparkling shiraz and luscious liqueur muscat. Dry riesling has been Australia's prime shellfish wine for generations, and its incredible value credentials are beautifully reinforced by this sharply priced Barossa youngster. The sea-breezy qualities of fresh oysters, coupled to the zip and spice of finger lime and chilli, find appetising harmonies in this wine with echoes of spice, citrus and salty air. Screw cap; 11.5 per cent alcohol. Stockists include: just released. Try Vintage Cellars stores, Dan Murphy's stores. 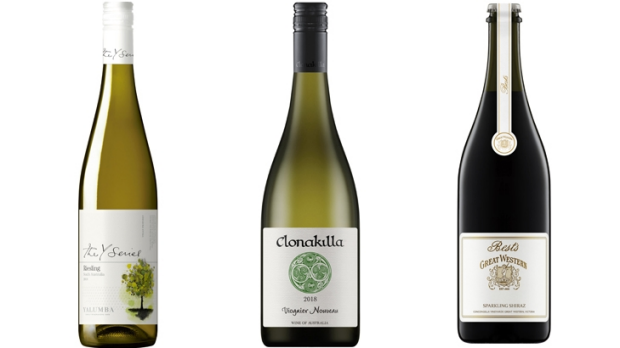 Viognier can be big and overwhelming, but not this inviting Canberra region example. It tells a youthful viognier story, with the balance of perfumed richness and tang to match the complex interplay of seaside flavours and more emphatic gingery notes in Kylie Kwong's prawn dish. Ripely flavoured, yet with a dry backbone, it has excellent balance. Screw cap; 13 per cent alcohol. Stockists include: selected Dan Murphy's stores. Glazed ham – an "Oh come all ye faithful" dish – deserves festive, robust wine. Sparkling shiraz? Of course. Best's Great Western is complex with ripe, concentrated berry, siena cake, earth and vanillin elements and even a hint of mint, generously flavoured and smoothly foaming, with well controlled sweetness and soft underlying tannins. Real celebration material. (Good with Christmas turkey too.) Crown seal; 14.5 per cent alcohol. Stockists include: Castlecrag Cellars, Castlecrag (NSW); Armadale Cellars, Armadale (Vic). 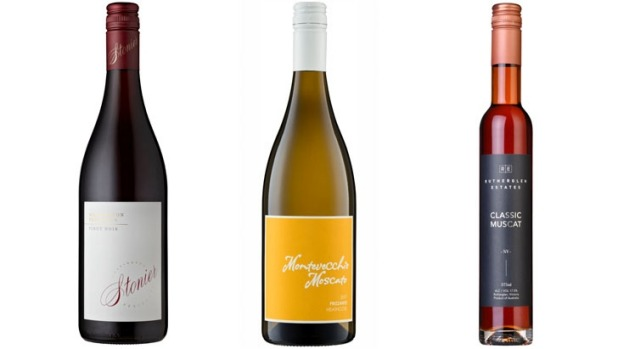 Mornington Peninsula pinot noir has certainly come of age. This young drop makes a great companion to turkey. It's driven by seductive floral aromas, herbal notes and a core of deliciously juicy strawberryish fruit. Light to medium-bodied, it offers succulent flavour, a gentle silky feel and just enough tannin for balance. Screw cap; 13 per cent alcohol. Stockists include: Nicks Wine Merchants, Doncaster East (Vic); Bellevue Hill Bottle Shop, Bellevue Hill (NSW). Coconut, mango and vanilla makes an exotic, fragrant combination, and gently foaming, aromatic moscato is an excellent, light, fresh accompaniment. Just released 2018 Montevecchio Heathcote moscato froths gently in the glass, delivering lovely floral, muscat-grapey, lemony scents, and a sweetly fruity, perfumed mouthful with a poised tingle at the end. Delicious. Screw cap; 5.5 per cent alcohol. Stockists include: The Clock Hotel, Surry Hills (NSW); Melbourne Wine Store, St Kilda Road (Vic). Rutherglen muscat should have a place at every Christmas table, both as a dessert wine, and afterwards with chocolates, coffee, laughter and friendship. A bit lighter and less powerful than many, this more elegant muscat still has classic rose petal, toffee and raisiny notes, as well as some nutty aged threads. It's sweet and luscious with an attractive, clean finish. Good with a light chill too. Screw cap; 17.5 per cent alcohol.